Polytechnic, Nwaniba Road, Uyo under my supervision. which showed that the developed amplifier worked satisfactorily. of minimized space, size and cost. large amount of power. This behavior is known as amplification. for the amplifier to reproduce. electronics, and amplifiers are widely used in almost all electronic equipment. multiple amplifiers and loudspeakers for louder volume or wider distribution. 1. 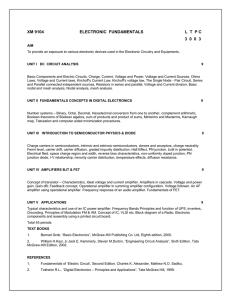 Acquaint with the use of basic Electronic Components and devices. 4. Increase or magnify a low energy level signal (in this case sound). 6. 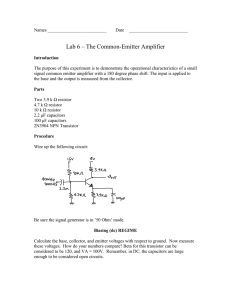 Understand Basic Principles of Amplifiers. proportionally greater amplitude signal at its output. acoustic sound source or recorded sound or music. invented in 1906 by Lee De Forest, which led to the first amplifiers around 1912.
transistors, but vacuum tubes continue to be used in some applications. first used for this new capability around 1915 when triodes became widespread. amplification were made by Harry Nyquist and Hendrik Wade Bode. portable electronic devices, such as the transistor radio developed in 1954.
today are based on integrated circuits. modulated by the extremely weak satellite signal received at the earth station. end of the cone in a specific direction. about "The Chicago Plan", and provide music between races. Automatic Enunciator Company was dissolved in 1926.
mouth to use it, and presses a trigger to turn on the amplifier and loudspeaker. enables a person to speak without having their face obscured by the flared horn. locations—such as schools, stadiums, and passenger vessels and aircraft. powered and/or powered by plugging the system into an electric wall socket. guides who are speaking to clients on walking tours. called Large Signal Amplifiers such as audio power amplifiers or power switching amplifiers. currents as you would find driving loudspeakers. where high switching currents are needed Power Amplifiers are required. amplifier circuits are used in audio amplifier output stages to drive loudspeakers. classes of operation such as class “A”, class “B”, class “C”, class “AB”, etc. is reduced and the output signal waveform closely resembles the input signal. Higher dc power loss at its output. power) for half of the input signal. Supply voltage must have good regulation. the transistor to bias it close to the Cut-off region when no input signal is present. then that the transistor will be “ON” for more than half a cycle of the waveform. the amplifier circuit compared to a pure Class A configuration. 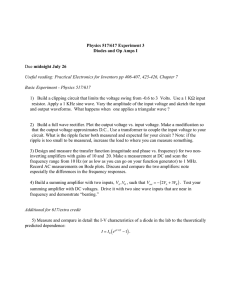 The other classes of amplifiers not discussed here are class C, D, E, F, G and H.
(dB). The Bel (B) is a logarithmic unit (base 10) of measurement that has no units. level is limited by output noise, this is quoted as the amplifier dynamic range. other response tolerance are sometimes quoted (-1 dB, -6dB). and high accuracy measurement systems. volts per second and sometimes microsecond. by the amplifier when no signal is applied. power output that is available. or attributes of some phenomenon". electromagnetic carrier that contains one or more data streams. frequency sound while a cymbal has a higher frequency sound. transmission (air, water etc.) that carries the sound wave. project. They are the frequency, the velocity and the wavelength. passes through it when a potential difference is applied across it. lowering the current while producing heat. project resistors were selected based on this property. and R is the resistance of the conductor in unit ohms. Fixed resistors: Fixed resistors are by far the most widely used type of resistor. is wrapped in a helix around and covered by an insulating material. at and below a specific level. availability it was relatively easy to get all the resistors needed. or hold this charge indefinitely as long as the supply voltage is present. capacitors are generally the best performing for this purpose. electrostatic field within its di-electric. the capacitance of the capacitor, in farad (F). the area of the capacitor's plate in square meters (m2]. the distance between the capacitor's plates, in meters (m). supply or other high impedance component of a circuit. needed in the construction of a public address system. electrical circuits to change the voltage of electricity flowing in the circuit. the two windings of the transformer. represent multiple electrochemical cells connected together. energy to be stored in the battery cells due to the reactions with the electrodes. attributes but none delivering an ultimate solution. golf cars, forklifts, marine and uninterruptible power supplies (UPS). When charging, a buildup of positive ions forms at cathode/electrolyte interface. current that a battery can deliver depends on the surface area of the electrodes. the end point voltage, the lower the battery service life. electronic switch or in a number of other applications. 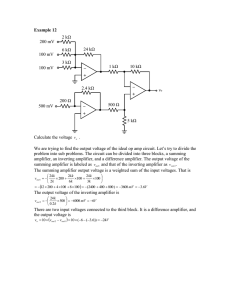 of small amplitude is given and magnified output signal is collected at collector. between the source and drain. entering the channel at S is designated by IS. entering the channel at D is designated by ID. Drain-to-source voltage is VDS. to G, one can control ID. commonly called, are one of the basic building blocks of Analogue Electronic Circuits. perform mathematical operations such as add, subtract, integration and differentiation. giving rise to its name of “Operational Amplifier”. and the other one called the Non-inverting Input, marked with a positive or “plus” sign ( + ). Transresistance – Current “in” and Voltage “out”. range from about 20,000 to 200,000. 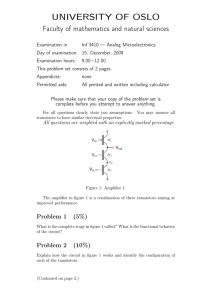 (Iin = 0 ). Real op-amps have input leakage currents from a few pico-amps to a few milli-amps. in the 100- 20kΩ range. product (GB), which is equal to the frequency where the amplifiers gain becomes unity. have some amount of output offset voltage. integrated circuits used in this project are described below. audio signals from the pre amplifier output. unit to rectify the alternating current to direct current. divided into sound input and output transducers. the velocity and direction of the sound wave. high linearity and low distortion. to move within the magnetic field of the magnet. depending upon the interaction between the north and south poles. pushes the surrounding air produces the loudness of the sound. to operate within this frequency. high efficiency. A cone-type loud speaker could also be used. depend the physical requirement of the system in which the circuitry is being used. 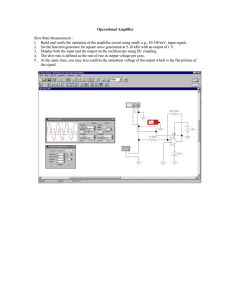 provided to open the AC input and the DC output on events of short circuits or overload. instances optimum operation requires accurate sensing of battery voltage. cells on mild emergency charging.  Cut off charging current when battery or charger terminals are shortcircuited. charge to maintain the battery as long as it is plugged into the charger. also minimized since the voltage is being regulated. current through the battery in a direction opposite of discharge. The Charger starts charging at 0.5V and give pulse current up to 5V. Current to CV (Constant Voltage) mode. The charger holds the battery at 14.4V and the current slowly reduces. through Stage 2 to Stage 4.
charger was adopted based on the criteria explained above. The full charger feedback control circuit can be seen in Figure 3.4 above. output the 12.4V for charging because of the 2V drop across the regulator. in equal proportion to the power amplifier stage. feedback to achieve the desired result. rail to rail swing on the outputs and is inherently stable with fixed gain. boost when the amplifier is working at low volume. earth wires were Return to this point to eliminate potential earth loops. As a design example consider an unregulated bench supply for our projects. of 500mA (0.5A). Maximum ripple will be 2.5% and load regulation is 5%. This means that Vsec = [13V + 1.4V] / 1.414 which equals about 10.2V. milliseconds. For a 50Hz system it is 0.01 sec or 10 milliseconds. to use would be at least a standard 25V or higher (absolutely not 16V). corrections and decision before final implementation. (PCB). The PCB was printed on a transparent film used in PCB production. heat sink to the power amplifier. The terminals of the components were cut short to ensure a neat finish. to allow easy access to components. connection were done using standard cable to the complete project work. Public Address system and also to protect electronic components. and constructions of the Project. as to protect the semiconductor from damage due to overheating. IC sockets were used to avoid heating the ICs while soldering. they were mounted on the PCB. caused a major setback in the implementation of this construction. Poor access to materials needed for the project. Lack of workshop facilities for students to work in. number of problems were encountered but were overcome. to reckon with in the world of electronic design. 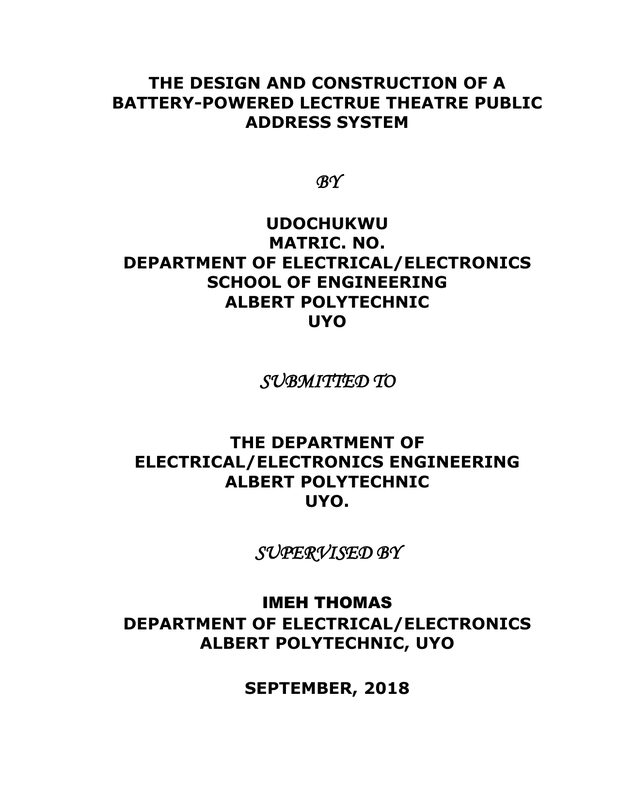 This thesis should serve as an aid to any subsequent project work on Amplifiers. Future designs should include Dual Channel to boost the performance of the amplifier. contacts be used. And all wiring be secured with cable ties. design in other to prevent and protect the amplifier from getting damage due to fault. 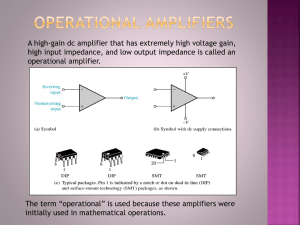 the domain of operational Amplifier. The maintenance of this system is expected to be carried out by a qualified personnel. The process may be either by trouble shooting, servicing or repairs. Bruce, R. (1997). Beginner’s Guide to Tube Audio Design. Edition, Lexicon Publications Incorporated, New York, USA. Morgan, J. (1999). Valve Amplifiers. Stan Gibilisco: The Illustrated Dictionary of Electronics, (Eighth Edition). www.diptrace.com schematic capture and printed circuit board design software. 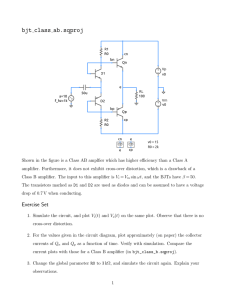 www.eleccircuit.com LM1875 Datasheet -20 watts audio amplifiers. www.techniks.com Printed circuit board transfer film techniks Inc. Ringos NJ. 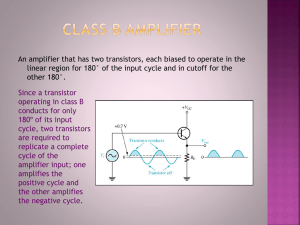 www.HiFiVision.com Types of Amplifiers - Class A Class B Class AB Class. www.electronic-tutorials.com Introduction to the Amplifier an Amplifier Tutorial. 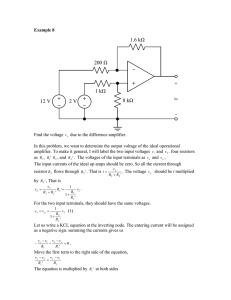 Example 12 Calculate the voltage .